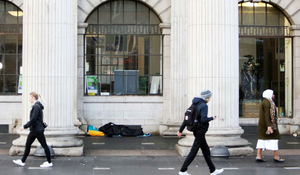 Homeless figures for January have been released…. The figure of 9,987 marks a rise of 234 people nationally when compared with the last month of 2018. 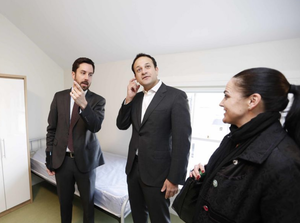 Housing Minister Eoghan Murphy has described the situation as “very disappointing”. 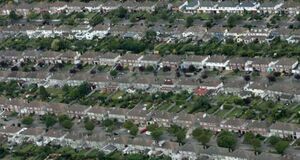 “It is disappointing to see the figures rise again and to see that there are almost 10,000 people experiencing homelessness and living in emergency accommodation. The rise in both adults and children is disappointing given that last month’s figures showed a decrease in the numbers. Posted in Misc and tagged Eoghan Murphy, Homeless at 5:09 pm on February 27, 2019 by Bodger. New buzz word or are there just no other words to describe how bad they are at this?? I am disappointed at your comment Ms Millie. Every time they release this report I picture the mad scramble they engage in to keep the “numbers’ below 10,000. I’d put down to endless repetition fatigue. 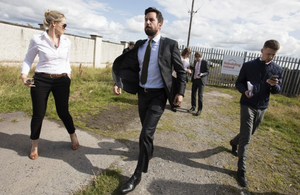 9,987 – that’s a new record for Eoghan Murphy. A galoot totally out of his depth. And that’s not including Yoghan’s doctored removals from the lists. “After her speech at a Safe Ireland conference in Dublin’s Mansion House yesterday, Ms Zappone said that if the women who had fled violence and were turned away from refuges were included in the statistics, it could tip the total number of homeless people over 10,000. 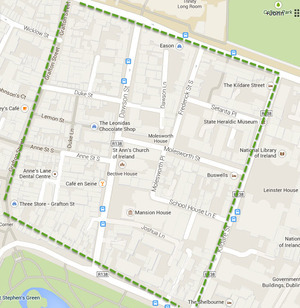 Zappone has an extra long fence to sit on. A waste of space, full of waffle. Another one with full confidence in this government. Problem is, FG are gay friendly which is a better optic than either FF or SF. FF are still looking around a gay who will keep his (def he) mouth relatively shut and SF decided a language very few speak is far more important? Put himself forward or was shoved? Either way I had to duck go ago. Good job lads! FG really know how to solve problems. This is a photo selfie op so stick the good teeth in and smile Junky? How can he be disappointed when he consistently does SFA to reduce it? spare a thought for the young pregnant couple doing the most natural thing in the world and bring disenfranchised by a system that dies nothing to aid traditional family formation. the jobs are in dublin. what’s the point in working for this housing situation? these individuals at the very sharp end be they 9999 or 10000 very much need our assistance but might I say for a bit of balance the 99999 or 100000 or 200000 or 300000 of working couples that are the engine of this country also need to be housed. fine Gael and fianna fail have forgotten about the hundreds of thousands of working people who keep this show on the road but are caught by barely being able to rent (My rent in Dublin 14 is €2600 a month) but not able to buy because lending criteria is frankly sh1te and the unwillingness from government to solve a crisis 30 years in the making. isn’t it time for a change?